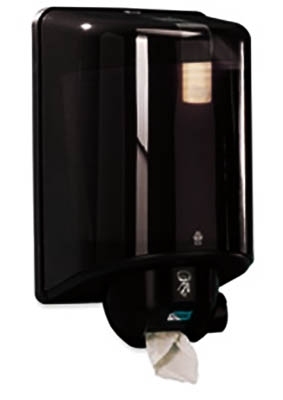 Centrefeed Towel Dispenser, 9-1/2"x8-8/10"x15-1/2", Black - Two-ply centre feed paper towel dispenser is hygienic and low-maintenance. Ideal for high-traffic areas. 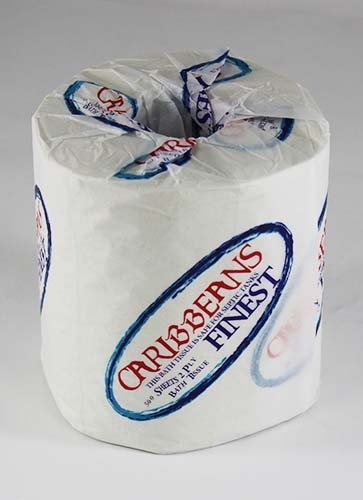 Users only touch the one-towel-at-a-time that they use. Dispenser helps users avoid cross-contamination from levers or cranks. This product was added to our catalog on 01/26/2016.